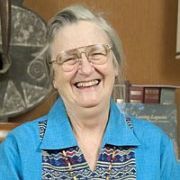 In 2009, Elinor Ostrom received the Nobel Prize in Economics for her work on the governance of "common pool resources" -- water, grazing lands, trees, fish, cyberspace. Her book Governing the Commons has prompted us to try applying her list of principles to eight specific park issues in Toronto. This application is being documented in an Ostrom Workbook, now in preparation. The question to be addressed in our workbook is: if park users (including on-site staff) collaborate day-to-day with municipal management in shaping local parks, can park governance in Toronto improve?